Does the Bus System Have a Lost and Found? Yes. 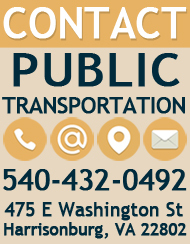 You can view the Harrisonburg Department of Public Transportation's lost and found policy and call their office at 540-432-0492 if you believe you left something on a bus. Can I Get to an Area Outside of Harrisonburg Using Harrisonburg Transit? Harrisonburg Transit buses operate almost exclusively in the city limits. JMU's student travel options page has compiled resources for transportation options for travelling outside Harrisonburg. How Can I Get a Job with Harrisonburg Department of Public Transportation (HDPT)? 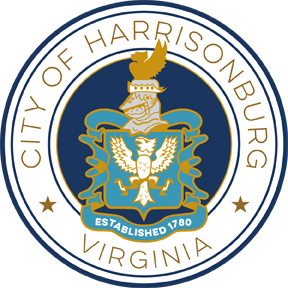 You can apply for any open City of Harrisonburg position (including those with HDPT) at the City's job portal. How Do I Get Across JMU Between Classes Using the Bus? Harrisonburg Department of Public Transportation offers multiple routes of transportation to students from one end of campus to the other. 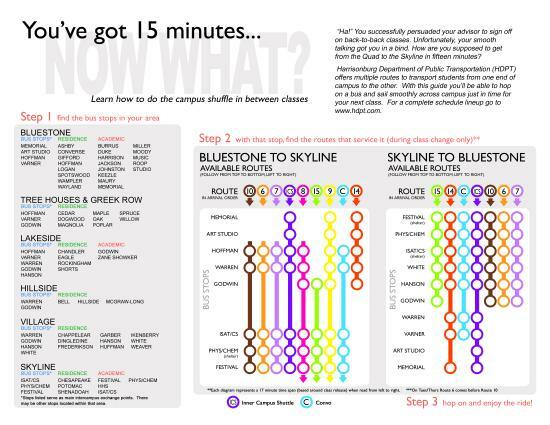 Use this guide to find bus stops and the routes that service them.